Emirates Skywards and Al Ahli Bank of Kuwait (ABK) bring you co-branded credit and prepaid card products that raise the quality of your travel experience. They offer you exclusive privileges and the worldwide purchasing power of Al Ahli Bank of Kuwait cards. With ABK Emirates Visa credit and prepaid cards, you can enjoy global shopping, smart travel rewards and increased recognition. To apply for your card or for more information, please call the Ahlan Ahli Call Centre on 1 899899 in Kuwait, or on +965 22442211 from outside Kuwait. Earn up to 7 Skywards Miles with each 1 KWD spent on ABK Emirates Visa cards. View more detailsOpens an external website in a new tab. 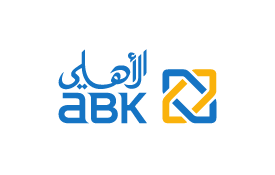 Al Ahli Bank of Kuwait Terms and Conditions Apply.